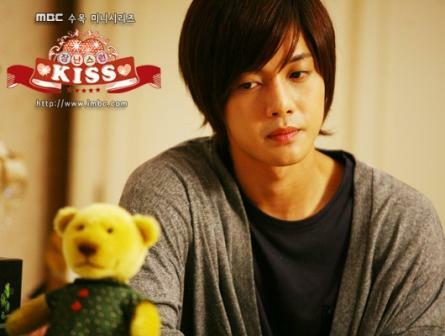 "Playful Kiss" is the newest romance-comedy Koreanovela which premiere this Monday on GMA-7. It is the Korean adaptation of the Chinovela "It Started with Kiss" and the Japanese Manga-serye "Itazura na Kiss"
And of course, this newest Asian series stars the "Boys Over Flowers" star Kim Hyun Joong who is also a member of the K-Pop boyband SS501. Kim Hyun Joong is paired with the beautiful Jung So Min. After playing Ji Hoo in "BOF", Kim Hyun Joong is now Baek SeungJo! They say that the lead role of Baek SeungJo was first offered to another "BOF" lead actor Lee Min Ho. But Lee Min Ho declined the offer so the role was given to Kim Hyun Joong. Lee Min Ho and Kim Hyun Joong played the rival Jhun Pyo and Ji Hoo in the hit "Meteor Garden" Korean adaptation "Boys Over Flowers." Everyone is so excited for this newest TV series. 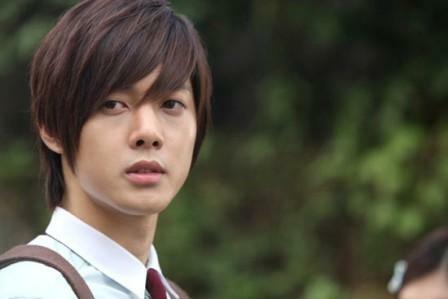 "Playful Kiss" replaces the top-rating "Temptation of Wife" in the Kapuso's Dramarama block.